This two in one activity allows for great play time. 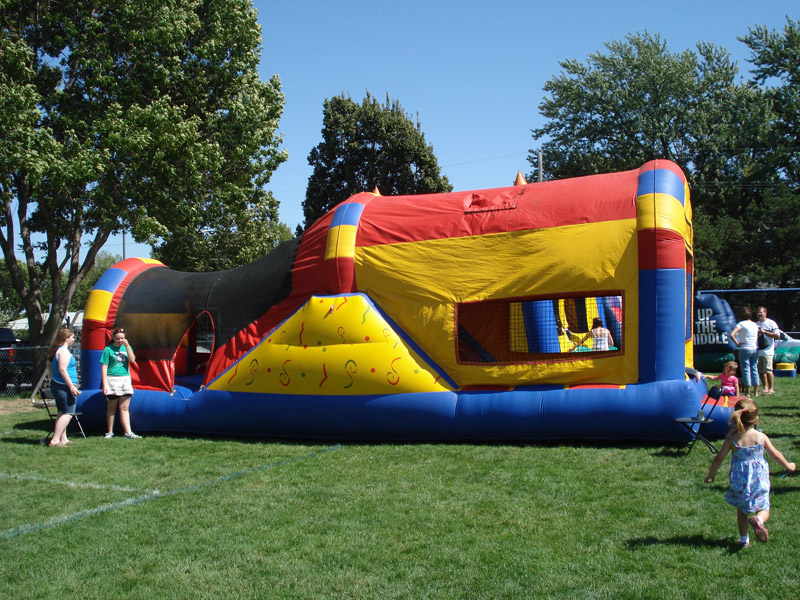 Bounce, jump and play on side of the combo inflatable then climb and slide on the other side. SNOW CONES and COTTON CANDY are a great addition to this inflatable. You may also like our CASTLE MOONWALK or the ACTION SHACK. Even though our business is fun, we always take safety seriously. Fun Services staff is insured and licensed. So, you can always expect to receive quality, professional service with every rental from Fun Services of Nebraska and Iowa.